Running in Manchester, UK. 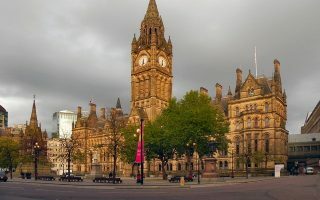 Best places to run in Manchester, UK. 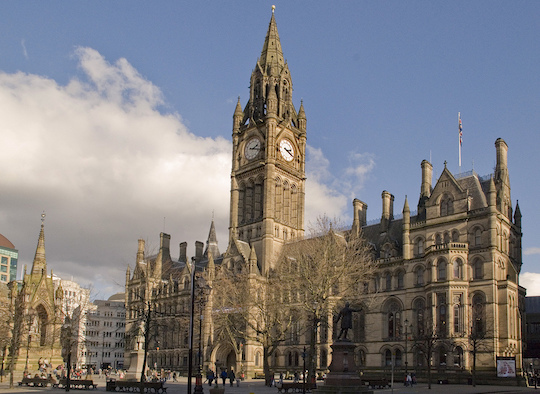 Manchester is the second largest and third most visited city in the UK. It was one of the world’s first industrialized cities and a center of textile manufacturing. Many parts of Manchester have been revitalized since the 1960s and the closing of the port in the 1980s. 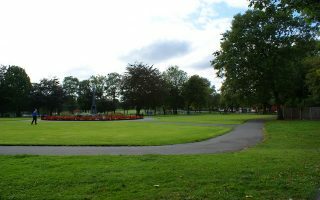 Running in Manchester, UK is largely focused on several canal and riverside paths near the center, plus some pleasant parks in the outskirts. 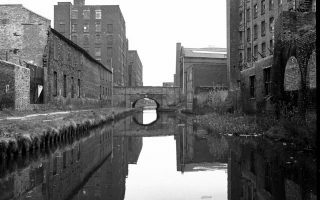 The signature run in central Manchester is along the Rochdale Canal, with other canal routes along the Ashton Canal and Bridgewater Way. The continually improving Salford Quays, with the newly opened Imperial War Museum, have a pleasant path around the basins. 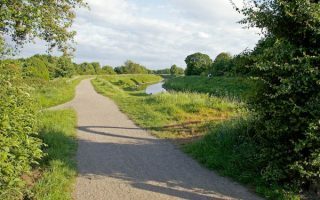 About 5 miles south of the city, there’s a wonderful series of parks and fields forming a greenway connected by the River Mersey paths, which are the Manchester section of the Trans Pennine Trail. 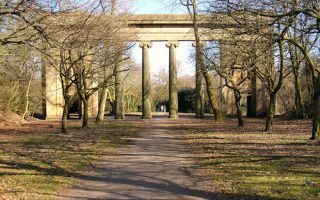 Although Manchester lacks an iconic park like other European cities, Heaton Park and Alexandra Park offer good running options. 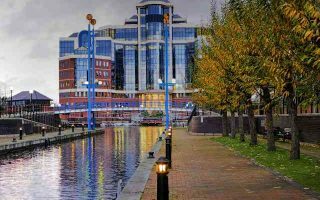 Central Manchester is on the eastern bank of the River Irwell, where you’ll find good views of the Pennine mountains to the north and east. The River Mersey runs south of the city. Architecture is a mix of Victorian, red brick, and more modern. Manchester has an extensive light rail system with 7 lines and 93 stops, and a large bus network. It's possible to see many of Manchester's important sights in a 3-4 mile tour of the older part of the city, which is located on the east side of the River Irwell. 3.1 mile run of main sights, or 7 mile run including River Irwell, Meadow, Peel Park. 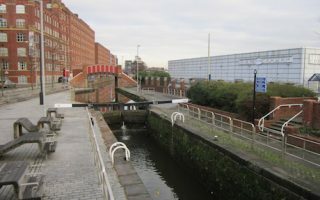 The signature canal path run in Manchester. One can run 30+ miles to the Sowerby Bridge in Yorkshire! We've mapped nearly 5 miles from Castlefield Basin to Oldham Rd. Pleasant path with nice water views, and a nice way to see Manchester. Pleasant greenway and paths. There are a couple of pedestrian bridges just north and south of Frederick Road. A nice standalone loop, or add-on to other Manchester runs. A short but interesting run that around Manchester's Old Harbor, which closed in 1982 and has since been rejuvenated. The perimeter waterside paths are nearly 4k, with two pedestrian bridges connecting to the River Irwell. Another pleasant canal tow path, this one with a more industrial vibe. 2 miles one-way from the Alan Turing Memorial to Philips Park. Old mills, and the Stadium Complex. Can be combined with Rochdale Canal Tow Path and Philips Park. Pleasant canalside path heading south from the central part of Manchester. 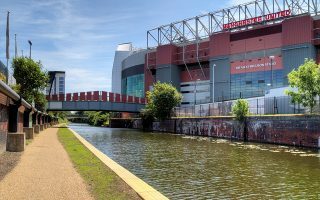 We've mapped nearly 5 miles one-way, although a good 4-miler is to run to Manchester Stadium, home of the famous soccer (football) team and back. Wonderful 600-acre park about 5 miles north of the center of Manchester. Several miles of trails, both open and wooded. Park includes a neoclassical 18th century country house, gardens, woodlands, observatory, and many other features. 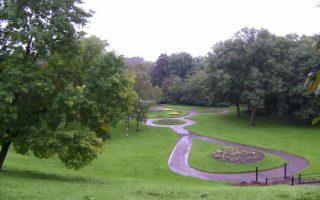 A 60-acre park southern Manchester, experimental when it was designed in 1868 for its oval and curved pathways. About 2 miles of paths. Changing rooms with showers and a 5k race the first Sunday of the month! An extensive series of parks and river paths, featuring the Manchester section of the Trans Pennine Trail. We've mapped a 9 km route along the River Mersey, from Didsbury Sports Ground to the Bridgewater Way Path along the Rochdale Canal. A quick tour of one of the more attractive suburbs of Manchester, about 1/2 hour west of the city center. Well-known for the partially wood frame houses paths alon older canals. Our 3.5 mile tour includes the center, canals, parks. Manchester has a temperate oceanic climate, with mild summers and cool winters. Summer temperatures are comfortable for running, averaging a high of 70F (21C) in July, and rarely getting into the 80s. Winters temperatures average in the 40s (7C), not often falling below freezing, and snowfall is relatively rare. Rainfall averages 32 inches a year – less than the UK average and comparable to cities such as Paris and New York. But it can be quite overcast in winter. There’s a good cluster of hotels in the historic part of Manchester and in the Central Retail District. It’s the area east of the River Irwell, inside the Ring Road. 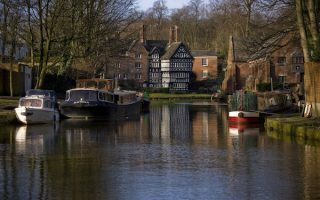 If you stay at a hotel in this area, you’re within 1-2 miles of some good running along Manchester’s canals & rivers, plus the historic area. The closer you can be to one of the canal paths, the better! There are also some good hotels on the western side of the River Irwell, which also has access to some good running, and plentiful bridges to hop over to the east side. Runners Need (Manchester location). Group Runs: Tuesday 6:30 pm. Runners Need (Manchester Didsbury). Group Runs: Thursday 7:30 pm. Great Manchester Run. May. Half & 10k. Popular race. Run in the Dark Manchester. December. Alexandra Park 5k. First Sunday of every month!